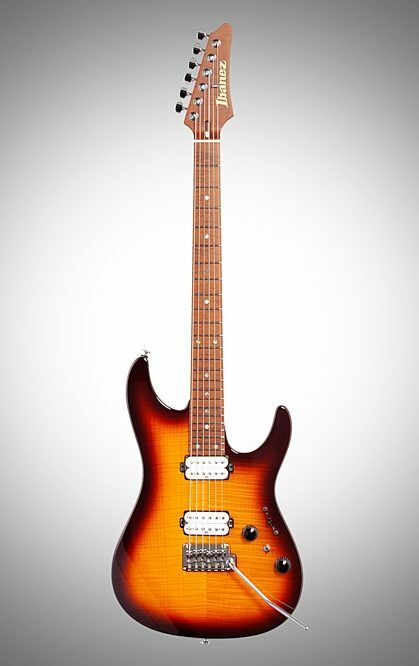 The Ibanez AZ2402FF Prestige Electric Guitar features an AAA Flamed Maple top and an Alder body in Regal Brown Burst finish. An ergonomic body back contour and a big forearm contour fit the player naturally, increasing playing comfort. 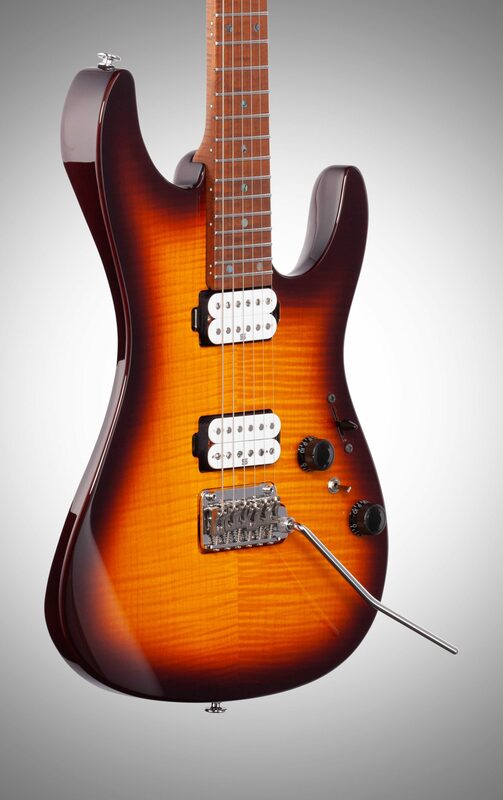 The S-TECH WOOD 1-pc Roasted Flamed Maple neck and fretboard provide a superior attack, well-balanced tone and rich sustain. 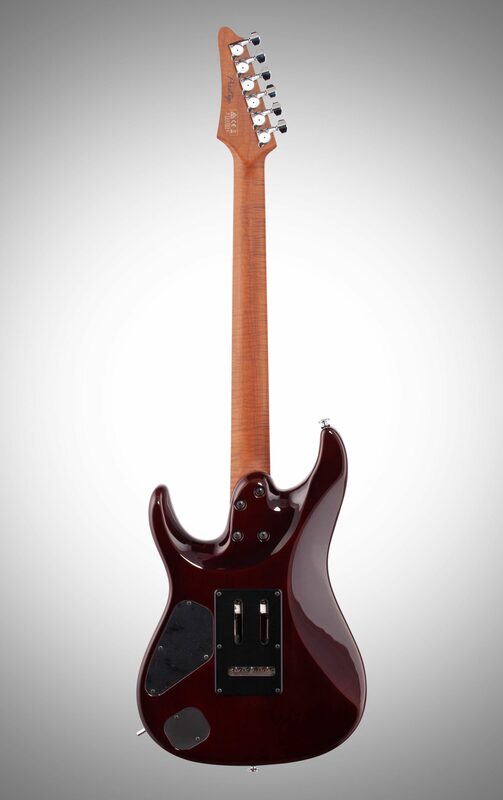 The Oval C-shaped neck and the smooth curved fretboard edge offer supreme neck grip comfort. 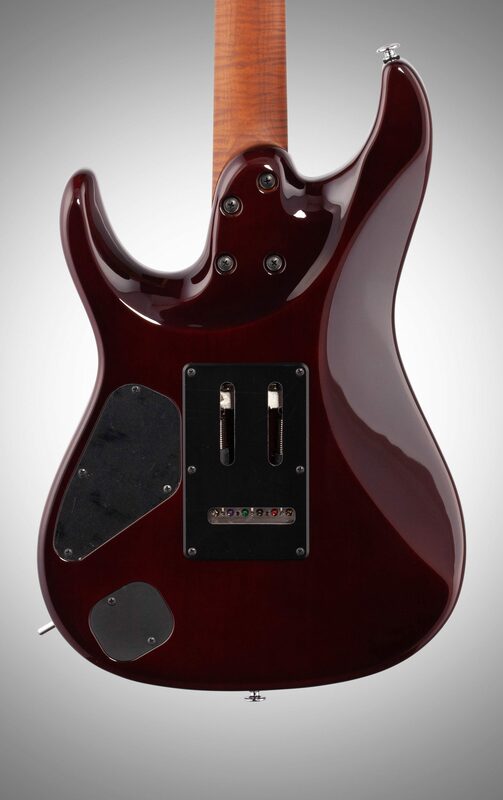 The Super All Access Neck Joint increases playability and eases access to the highest frets. Stainless steel frets boast excellent corrosion resistance and the wide and tall fret-type offers a quick response, good articulation when playing chords and clear tone while playing single notes. The AZ2402FF is equipped with Luminlay side dot position marks, making it easy for players to see fretboard position marks when performing on dark stages. The included Seymour Duncan Hyperion Pickups feature a moderate output through Alnico-5 magnets, which retain the clarity of the fundamental tone when using a distorted sound, and deliver a clear pick attack. The Dyna-MIX 10 offers ten sound variations, and can easily switch from humbucker and single coil modes with the mini switch. 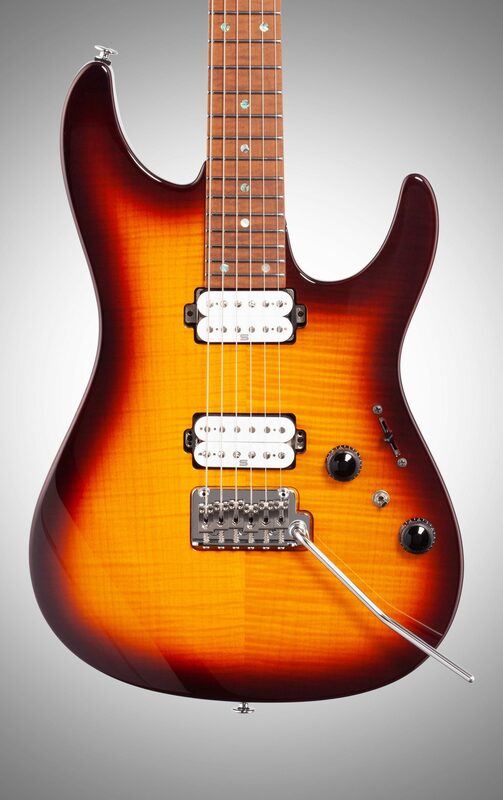 The Power Tap mode provides a realistic single coil sound, despite the two humbucker pickup layout. The T1802 tremolo bridge, developed in collaboration with GOTOH, features machined titanium saddles and a machined steel tremolo block for a quick response, thick lows and rich highs. The 10.5mm string spacing allows for easy picking across strings, enabling techniques such as string skipping and hybrid picking. 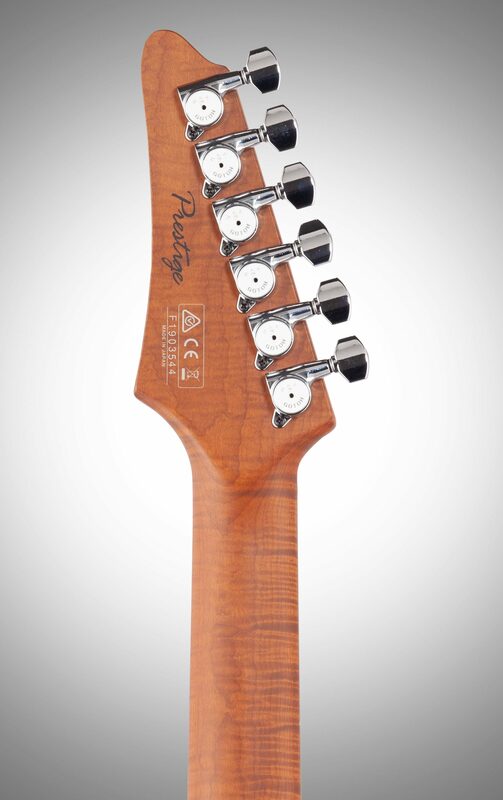 The AZ2402FF features GOTOH MAGNUM LOCK machine heads, which have an established reputation for tuning stability. The AZ2402’s H. A. P (Height Adjustable Post) system allows for the adjustment of string posts, ensuring the appropriate tension of each string. Hardshell case included. 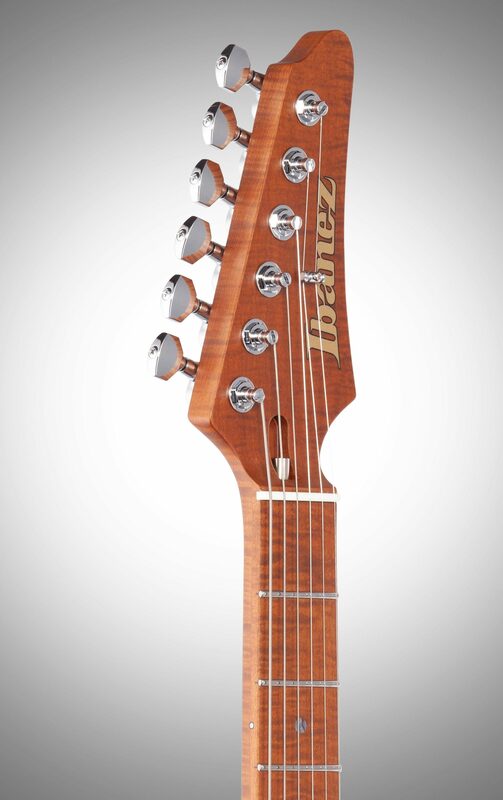 Ibanez has decades of accumulated knowledge and has been at the forefront of the evolution of guitar-making for a long time. From A to Z, the AZ series carries with it all of the hallmarks of these tried and tested Ibanez qualities: the smooth oval neck grip, the well-balanced asymmetrical body shape, and the neck heel allowing unrivaled playability. 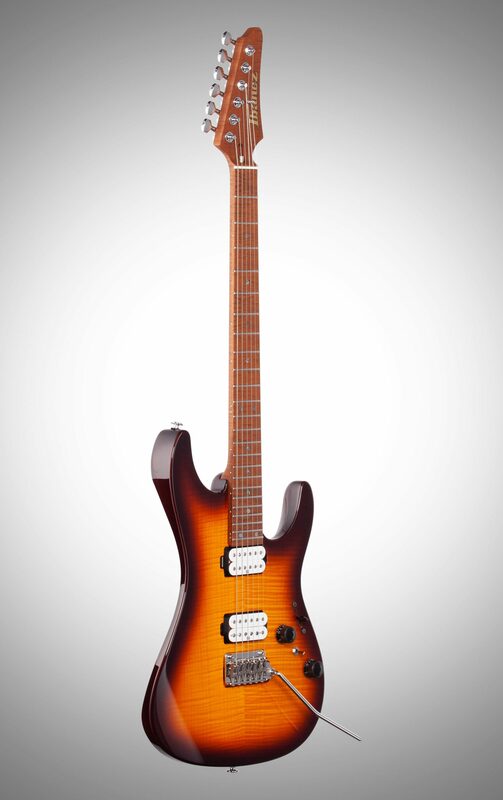 The AZ series represents the future of guitar playing.